BRUSSELS — Sixteen European leaders vented their frustrations with failed migration policies on Sunday, with the German and Italian prime ministers trying to move the European Union toward their competing positions before a summit meeting later this week. Three years after a large influx of migrants and asylum seekers, the vexed issue of migration has become a popular populist issue and threatens to topple the long reign of Europe’s most prominent leader, Chancellor Angela Merkel of Germany. In what was billed as a rare “informal meeting” of leaders under the auspices of the European Commission, the new Italian prime minister, Giuseppe Conte, representing his new anti-immigration populist government, presented a plan that would upend the current regulations governing migrants and asylum seekers. The Italians want to abandon the principle that migrants must be returned for screening to the E.U. country where they first are registered. Instead, Mr. Conte proposed creating “international protection centers” that would screen asylum requests in common countries of transit but that would not obligate the countries of first arrival. The Italians, Greeks and Spaniards have recently borne the brunt of migrants coming from the Middle East and Africa, even after migrant boat travel to Greece from Turkey has been curtailed through a special deal promoted by the Germans. But while the number of migrants reaching Europe is far lower than in 2015 and 2016, at the height of the Syrian civil war, the politics of migration have become ever more poisonous, with right-wing and populist governments in Italy, Austria and Central Europe all pressing for better controls, along with surging populist parties like the Alternative for Germany. Ms. Merkel, whose government is under threat from her putative conservative allies in Bavaria, had pushed for the informal meeting to try to forestall her own interior minister and rival from ordering that all migrants registered elsewhere be turned away from Germany. That would mean a hard border with Austria and could represent a fatal blow to the idea of “border-free travel” within most of the bloc. Ms. Merkel came here looking for European solutions, even bilateral or temporary ones, to tamp down the challenge to her leadership and to the principle of border-free travel. If she does not find a kind of solution at the European Union summit meeting this Thursday and Friday, her interior minister, Horst Seehofer, has vowed to defy her. (His party, the Bavarian Christian Social Union, faces a strong challenge from the Alternative for Germany in state elections in October.) Some think that could bring down her government and end her 12 years in power. After hours of discussion here on Sunday, Ms. Merkel emerged speaking of increased “good will” and a good discussion, which would have been impossible given the time constraints of a normal summit meeting. She said that all agreed that countries of “first asylum” should not bear undue burdens, that “all countries should share all the burdens” of migration and that migrants should not be able to decide for themselves where to apply for asylum. 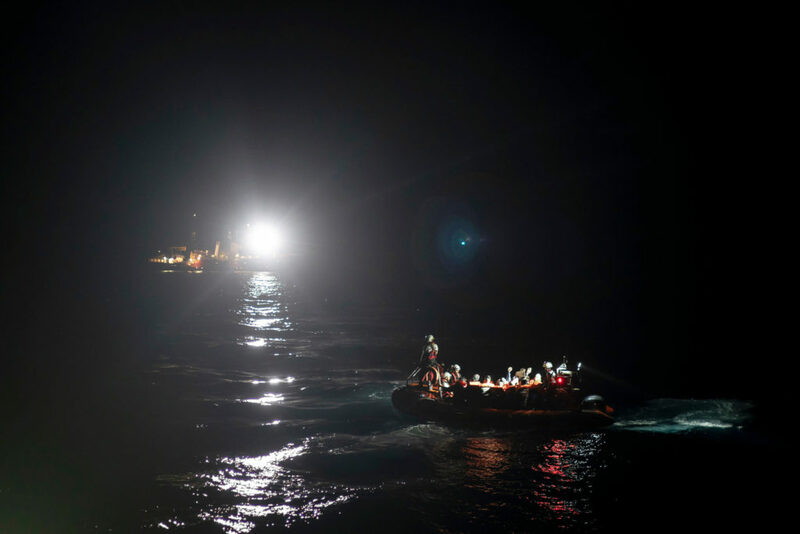 The Italian government in particular has begun to turn away ships containing migrants rescued at sea, forcing them to try to find other countries to land their human cargo. It is currently in a spat with Malta, which is refusing to accept a German ship with 234 rescued migrantsalready turned away from Italy. Spain’s new prime minister, Pedro Sánchez, urged other states to help Spain deal with the arrival of thousands of migrants from Africa across the Mediterranean Sea. Spain has seen a sharp rise in migrant arrivals. The United Nations says that around 40,000 people have arrived in Europe by sea so far this year, some 16,000 in Italy, 12,000 in Greece and 12,000 in Spain. Europe would beef up its own border force, he said, and strengthen efforts to work with countries like Libya and Balkan states, through which many migrants travel.